Does this look like good Live Rock or Bad LR? I just want to know if this looks like good LR or bad LR. It was supposed to be Ultra Fiji Premium. It doesn't look premium to me. Also, what are the black marks? Sponges? I tried scrubbing most of them off, but I see I missed quite a bit. I also have a dead peanut worm (I think) hanging out of one of the holes. Yes, I'm going to remove it. Note: The bottom left photo is the underside of some of the rocks. There is gonna be some decay on it from the shipping. It will cycle. It's decent live rock, but you're not gonna see how good it really is until you start cycling the tank and it gets established. Once you get the tank some inhabitants, the rock will start developing some more color as the sponges, coralline and other microbes start growing back .... "nice." I just put them in there after cleaning them and I didn't have time to aquascape. I paid around $230.00. Is that not a good price? I got it from www.livestockusa.org. It's supposed to be Ultra Premium Fiji. If you look at their pics compared to mine, theirs looks a lot better. Damselblue has included the cost of her shipping charges. The cost of her live rock was $182.00 ($2.80 per lb. ), plus $50 for shipping. It is hard to really tell from the pics. It is all about shape and density when it comes to live rock. I always encourage people to compare their shapes and prices to the stuff on www.anotherrockseller.com to see if they got a good deal. At this point, it doesn't matter though, because you have it. Looks like good sizes to me, and that's probably what you're paying for. From what I've read all, (or almost all), of the Fiji live rock that comes into the U.S. is from the same importer. (Walt Smith & Co.). It doesn't make much difference who you're ordering from unless you are buying fully cured live rock, in which case it has been curing in the seller's tanks for a period of time. Also, my understanding is that all of the Fiji rock comes through LAX, so the farther it travels from southern California following arrival, the longer it's out of water. Never think you are gonna get what you see in pics when it comes to live rock. You may get somethin close or maybe even better. But most of the time it's not as good. After going back and looking at their website, it really disappoints me. It's not Walt Smith. It states right on their website. Go to www.livestockusa.org. Look at their pictures. Then look at mine. I'm going to write them and tell them it looks bad. It looks like base rock. I ordered Fiji Premium and Lalo live rock and the Lalo looked better right out of the box ... "lots of colors" ... three months later, the Lalo looks like crap and the Fiji looks better ... way more coralline algae. Don't be too quick to judge ... "you have to give it time." The pics you see in their website were taken when the rocks came right from the ocean, most likely, and were never out of the water very long. If you were to take that same rock and ship it, it will not look like the pic once it gets to your door... "you have to cure it." Or, for a lack of a better word, "NURSE" the rock back to its healthy form. To me, it looks very much like what they have on the website, although you just don't have any coralline algae on there yet. I agree that you should wait and keep your calcium up and your rock will look sweet in no time. If that were me (I live in Canada), I'd have to pay about $600 (about $500 US) for that, so it seems like a good deal to me. Nice big porous looking pieces. LMAO ... "you're too funny." I know you're frustrated, but that's the way it is for most, if not all of us. When I got my rocks, they were as dry as the desert and as soon as I put'm in the tank all the color bleached off of'm ... I was really disappointed. As they say in this hobby, "nothing good happens fast" ... and now I have a hitchhiker ... a mantis shrimp! Some wonderful advice has been offered here! Damselblue's fellow hobbyists have been quite helpful ... practical suggestions, as well as some pointers regarding having patience when starting a new aquarium. "It looks good to me"
"Looks like good sizes to me"
"Nice big porous looking pieces"
"Enjoy it ... you won't be disappointed in the long run"
"Don't be too quick to judge ... you have to give it time." Damselblue's initial question was "What do you all think?" BUT, this story does not end here! 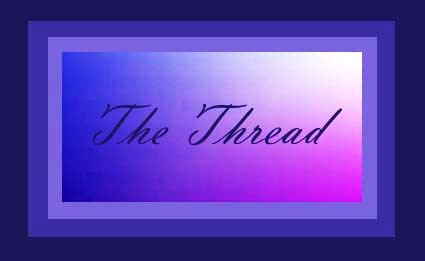 So, grab yourself a cup of tea or grog and hold onto your seat as "The Thread" continues!